Say hey the Ork way! 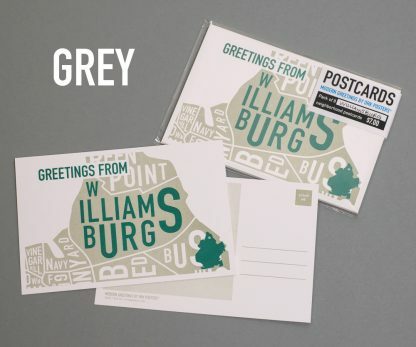 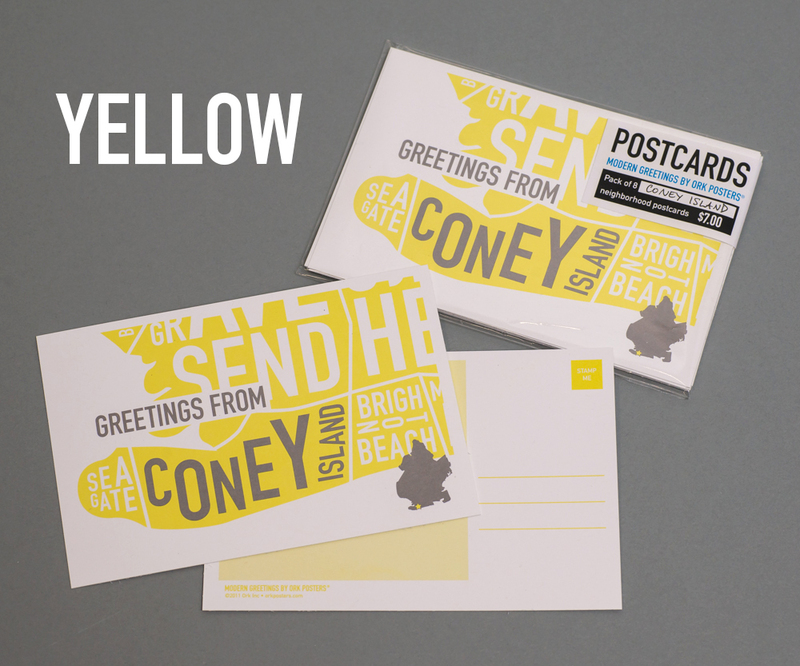 This pack of eight (8) 4″ x 6” postcards read “Greetings From” and zoom in to highlight a specific neighborhood on our typographic Brooklyn neighborhood map. 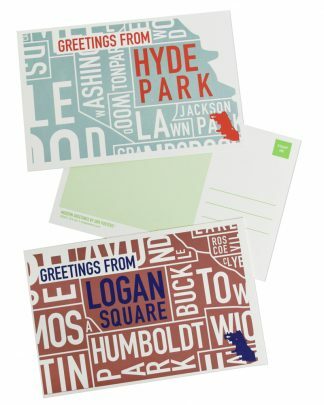 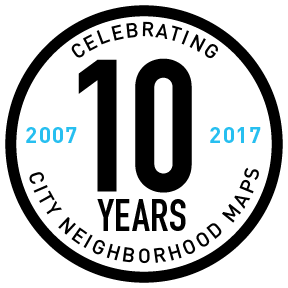 Cards are available for any neighborhood that appears on the map. Each neighborhood is available only in the color listed in the “Neighborhood” dropdown menu. 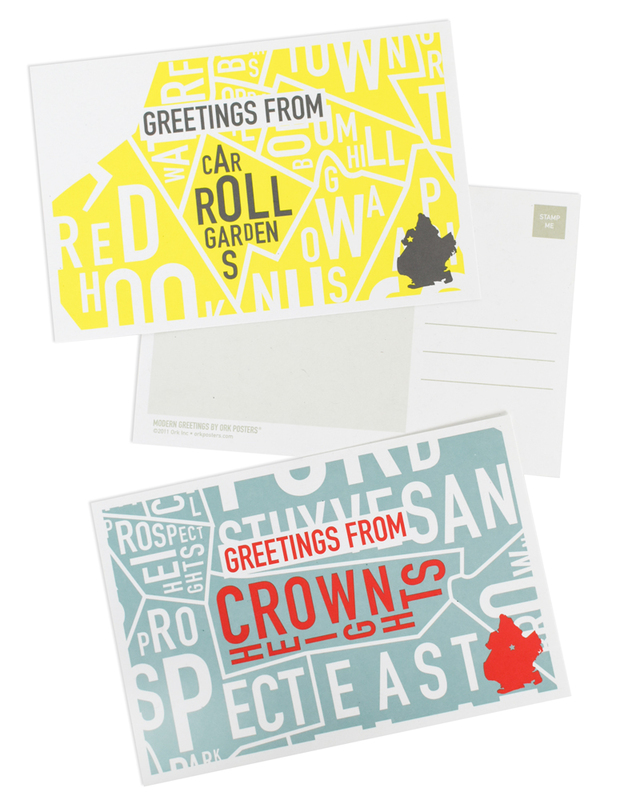 They are printed with veggie-based ink on super thick, recycled paper stock. 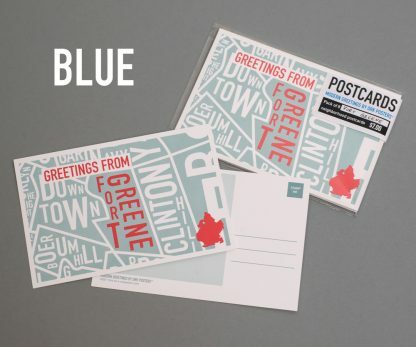 Orders process in 1-3 business days and ship via USPS First Class mail. 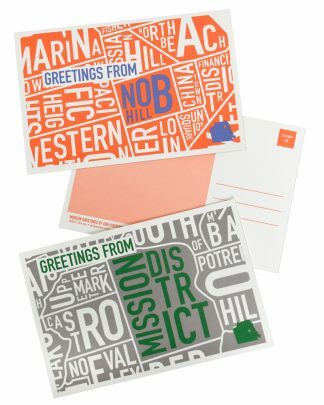 If purchasing with a poster or screen print, postcards ship together with the poster via the shipping service selected during checkout.